Tooth sensitivity can easily turn into tooth pain if not attended immediately. Whether you’ve just taken a sip of soda or you’re eating a spoonful of cereals, you can’t get past the weird tingling sensation that’s emitting from your teeth. While this doesn’t necessarily hurt, it’s enough to make you feel annoying. This sensitivity can easily turn into tooth pain if not attended immediately. That’s why your dentist in Plainfield NJ is prepared to explain to you exactly what it this sensation is and how you can take care of it. 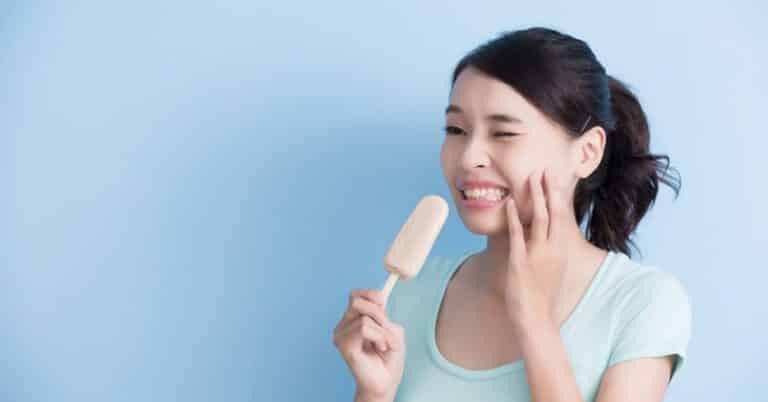 What is the reason behind tooth sensitivity? Tooth sensitivity occurs when external stimuli reaches the dentin layer of your teeth. The dentin layer covers the nerves in your tooth and provides you with an additional layer of protection from external elements. That’s why every time you drink that is hot or cold, you’ll feel sensitivity. If you’re afraid that your dentin has become exposed or if you just feel sensitivity in general, you should see your dentist. This is because the sensitivity could indicate that a cavity or gum disease is present in your teeth. How did this happen to my teeth? The common causes of sensitive teeth are worn tooth enamel or erosion. This can occur either through chronic teeth grinding or due to frequent exposure to acids in the foods and drinks you eat. It can also occur from gum recession, decay in the tooth, cracked or broken fillings and post dental treatment work done by your dentist. Sometimes getting crowns, fillings and teeth whitening done can lead to tooth sensitivity. My treatment options for sensitive teeth? Treatment for tooth sensitivity depends on case to case. For example, if you have a cavity that’s causing sensitivity, a dental filling can be placed to protect your teeth and reduce discomfort. In case your tooth’s dentin has become exposed, your dentist can apply fluoride varnish or gel using mouth tray. The dentist also uses a dental bonding agent (sealants) to seal the dentin surface and that protects teeth from external stimuli. If you know you grind your teeth in the night, ask your dentist about custom fit night guard. If you’re experiencing tooth sensitivity on a daily basis, schedule an appointment with your dentist in Plainfield NJ today to get it treated!